The common trailer bulkhead can be viewed as a multipurpose tool. A driver can use it as an anchor point for tarps or the starting point for installing a side kit. But at the end of the day, the primary purpose of the bulkhead is to prevent forward movement of cargo. For the flatbed trucker, it is either bulkhead or penalty strap. 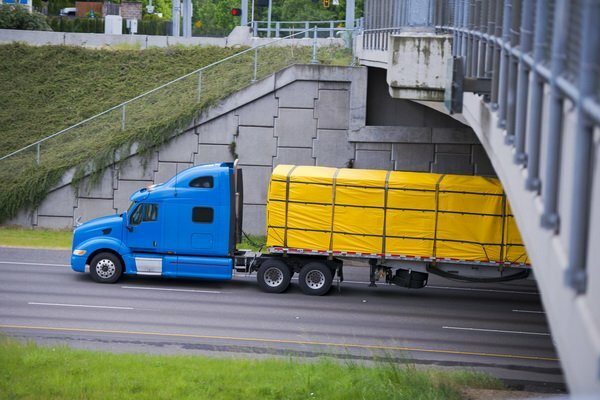 We are not quite sure where the term ‘penalty strap’ comes from, but it does a good job of describing how some truck drivers feel about having to use extra tie-downs to prevent cargo from shifting forward. Extra tie-downs means extra work. To that end, a driver might feel that he or she is incurring some sort of penalty for choosing to not use a bulkhead. There is no right or wrong choice here. It is a matter of driver preference. Knowing the finer points of both options gives drivers a clear understanding of what is best for them. Let’s face it, some loads are easier to secure with penalty straps than others. A load of brick stacked on wooden pallets does not need a whole lot of extra effort to prevent forward movement. Do a few calculations, grab an extra strap or two, and the driver is good to go. Not so with a load of rail. Rail doesn’t benefit as much from gravity and friction as brick does. Therefore, preventing its forward movement is a little more complicated. The extra time and effort it takes to deploy penalty straps could easily be avoided with a bulkhead. A load of 5 feet or shorter and a weight of 1,100 pounds or less = 1 tiedown. A load of 5 feet or shorter and a weight in excess of 1,100 pounds = 2 tie-downs. A load between five and 10 feet, regardless of weight = 2 tie-downs. A load longer than 10 feet = 2 tie-downs with an additional tiedown for every 10 feet. These numbers just tell the driver how many tie-downs to use. The driver also has to consider the working load limits of each strap. It is a lot easier just to install a bulkhead with a high enough rating to cover most of the loads the trucker will haul. One final consideration is that straps and chains wear out. 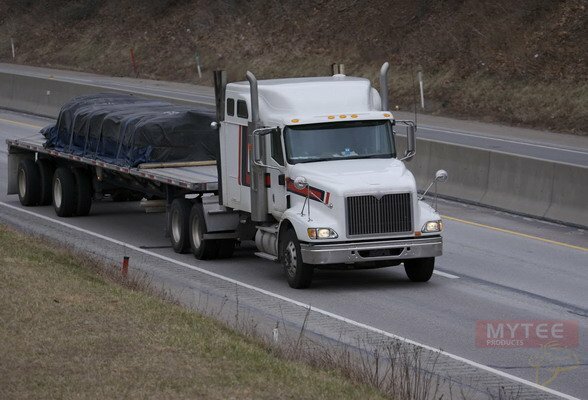 It is conceivable that a trucker can use the correct number of tie-downs and properly account for working load limits and still be found in violation. That’s because inspectors can take straps and chains out of service if they observe what they believe to be unacceptable wear and tear. Bulkheads are subject to wear and tear as well, but not nearly as much. Therefore, it stands to reason that taking penalty straps out of the equation in favor of a bulkhead reduces the chances of being found in violation. The fewer tie-downs in play, the fewer opportunities for wear and tear to cause problems. We understand that there are very valid reasons for declining to use a bulkhead on a flatbed trailer. Yet, there are some very definite advantages to choosing a bulkhead over penalty straps. It’s really up to each driver to decide what’s best for him or her. Should you decide to go the bulkhead route, Mytee Products can get you squared away.